Hello, this is Scot Leith. 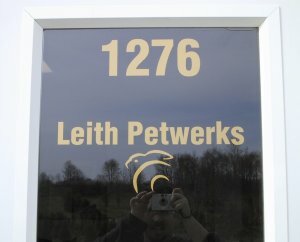 In 1995, I started Leith Petwerks in order to create and deliver quality products for you and your pet. We are a small, personally run business providing excellent workmanship and attentive customer service for your house rabbit care needs. Petwerks strives to provide unique products exemplifying high quality. We are not a huge, faceless mega corporation with locations on every other city block—just me, my wife, a handful of employees and the occasional assistance of friends and family. This is why you get excellent quality and personalized customer service. Each and every customer is very important to us! Please take a moment and read on to learn more about us, or ask us a question! Our first setup in a small outdoor building. Another view of our very first location in 1997. 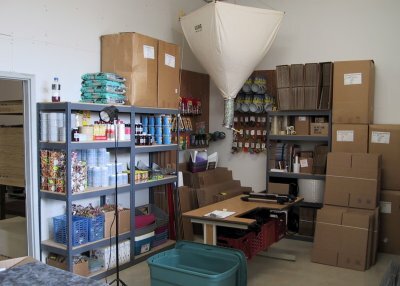 A tiny corner of our first stock space in our second warehouse. Nothing like seeing your name on the door! 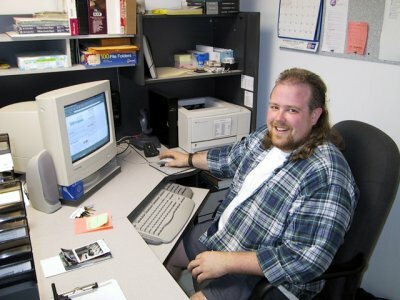 Scot at work in the new location. 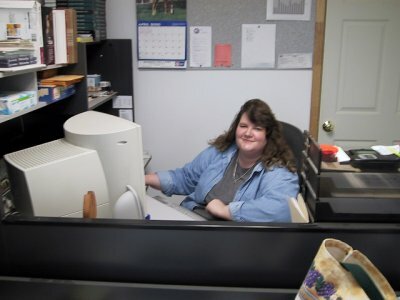 Amy stealing Scot's deak to work on the website. Scot with his baby, the Delta Unisaw. 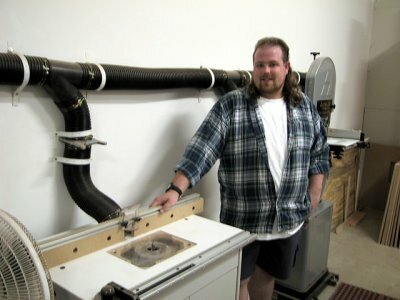 Scot with his router and dust collection system. Moving on up in 2004 to our own building! We had lots of work to do. For scale, the woman in the doorway in this pic is about 6 ft tall! Renovations inside and out gave us the ability to create the space we needed! A lot of work was done, but the results were awesome. We love this building! Leith Petwerks began as Leith Birdwerks in 1995. Having found items of interest to parrot owners at ridiculous prices, I began making items for ourselves and occasionally giving them as gifts to friends. Soon, people were calling making requests, and requests from friends turned into orders from friends of friends. In 1997, I saw a gap that desperately needed to be filled: affordable quality housing for house rabbits. Having changed our name to Leith Petwerks earlier in the year to accommodate a wider range of items, my wife and I researched and "beta tested" some designs for condo style rabbit housing (with the help of Dinkum), and then introduced Bunny Abodes. Leith Petwerks products are made by hand by myself and our employees in our workshop. 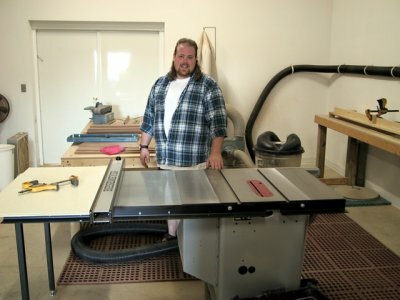 When my shop was located in Brazil, Indiana (these first two pictures), I received a great amount of help from my teen aged sister Valerie, and the assistance of Amy's father, Richard, who is an excellent woodworker. Our designs and ideas come from the experience of being pet owners. Dinkum, our Dutch/Harlequin mix has been with us since the day after our honeymoon in 1992. He was a little squirt, no bigger than two fists with very big ears! In November of 1998, we moved to a house with a large three car garage that is used entirely for the Petwerks production facility, plus another room (a converted two car garage) for product, assembly and packaging. 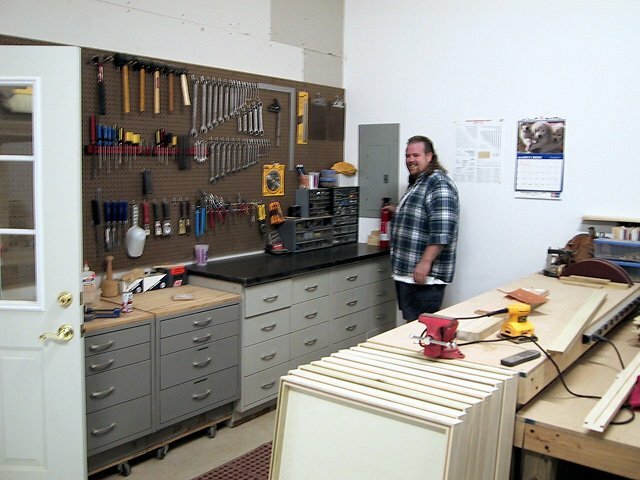 In December of 1999, we moved to a large warehouse that has allowed us to expand, keep more stock, and add more tools. We loved the space (and the convenience of deliveries) and thought we'd be comfortable there for a while. 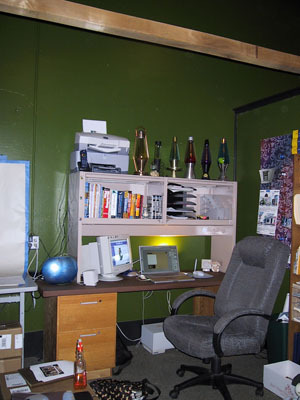 But in 2004, after having grabbed more space a time or two in the same warehouse complex, we needed more space. 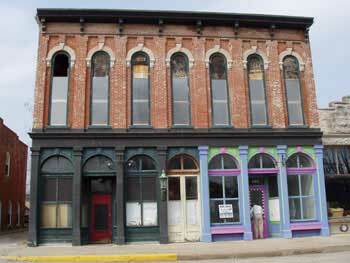 We sought commercial warehouse space to buy, and settled in a historic building that was once an opera house. It sits on one side of a partial square in a very small and quiet town called Gosport in Indiana. The inhabitants before us were artists, and left us with a partially bright exterior that we still enjoy! Visits to the Pacific Northwest to visit family caused us to fall in love with the people and the landscape of Oregon. 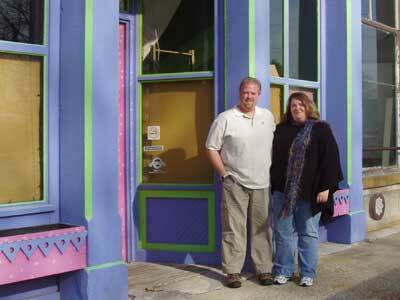 As a result, Petwerks moved to Salem, Oregon in 2007, and we've been going strong since! Nothing with Petwerks is ever "normal," and this is no exception; currently we share warehouse space with a company that makes amusement park rides. Yes, the strap-yourself-in and hope the guy next to you didn't just overdo it on corndogs and lemon shake-ups kind of rides. We make our products to provide the best for both pet and human companion. We welcome our customer's comments, suggestions and questions. Leith Petwerks plans to grow the line of unique, quality products we offer, and endeavors to provide resources to improve the care and relationships people forge with their animal companions. An early member of Petbunny, my wife, Amy, is active in a variety of house rabbit mailing lists. A long time member of the HRS, she is now an Educator, Fosterer and Chapter Co-Manager for the Indiana Chapter of the House Rabbit Society. She holds together a mixed bag of professional responsibilities, including freelance web and print design work and also covers customer service, packaging, advertising, network maintenance and web site maintenance here at Leith Petwerks. I have a degree from Indiana University's School of Public and Environmental Affairs, and always dreamed of owning my own business. I enjoy the business end of business, and I also enjoy working with my hands to create the products that our customers enjoy. Thank you for taking a moment to learn a little about Leith Petwerks!